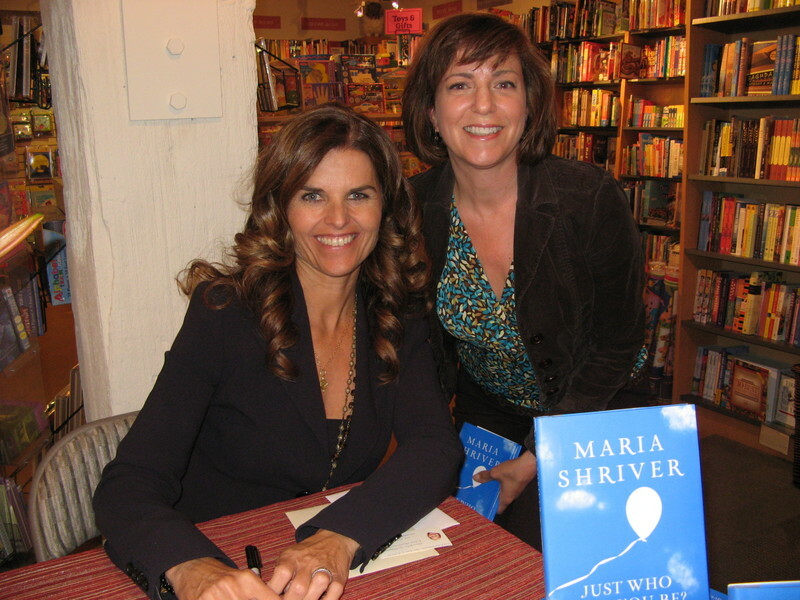 When the Silicon Valley Moms Group organizes a book signing with the California First Lady Maria Shriver at a fun book store (Books Inc, Palo Alto), I don't want to only attend, but capture the moment. The book is called "Just Who You Will Be?" and even though I dragged it around for a few days, spilling soy sauce while eating sushi and reading the book on the go, I finally finished it before the event. I found the book to be very similar to Maria Shriver – down to earth, engaging and completely inspiring. Hearing about her challenges managing career and family helped me realize that even the famous struggle with this. Check out the posts and video links on the Silicon Valley Moms Blog for details of the discussion. So he knows that I am not only proud to be a blogger – but most proud to be a mom who blogs in her precious spare time! To make sure I captured the event, I ran to Best Buy while the kids were in school and purchased a Logitech USB desktop microphone and notebook webcam to allow me to extend the sound and video capabilities of my computer. The Logitech PC Camera can be moved and positioned to help capture images. I came home in enough time to get dinner ready and play around with my new gadgets to make sure they work. Using my Vista device manager helped me disable the standard notebook microphone and webcam to allow my new accessories to take charge. Then (of course) my babysitter called in sick so I had to wait until my husband got home from work. By the time I got to the event, it was well underway and I had no time to walk to the front and plant my notebook and accessories near her… At least next time I will be ready… I was so flustered that I forget to take out my USB ready Flip Ultra Camera, that had just been updated with new batteries. The night was a technology bust for me. Then I realized I was in a room with a group of women who were blogging, recording and filming the event, so I just had the pleasure of relaxing and listening. This allowed me to experience another one of the pledges from the book, taking ten minutes (or more) for myself to get in touch with my voice.